Suze Orman has been called “a force in the world of personal finance” and a “one-woman financial advice powerhouse” by USA Today. A two-time Emmy award-winning television show host, New York Times bestselling author, magazine and online columnist, writer/producer, and motivational speaker, Suze, is undeniably America’s most recognized personal finance expert. 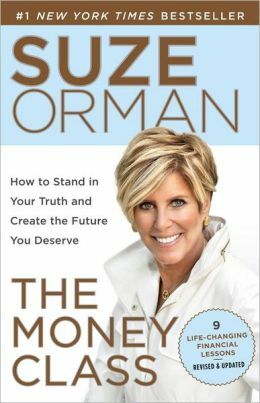 Suze has written five consecutive New York Times bestsellers, The Money Book for the Young, Fabulous & Broke; The Laws of Money, The Lessons of Life; The Road to Wealth; The Courage to Be Rich; and The 9 Steps to Financial Freedom, as well as the national bestsellers, Suze Orman’s Financial Guidebook and You’ve Earned It, Don’t Lose It. Her next book, Women & Money, will be published by Spiegel & Grau, a division of Doubleday Broadway Publishing Group, in March 2007. Additionally, she has created Suze Orman’s FICO Kit, Suze Orman’s Will & Trust Kit, Suze Orman’s Insurance Kit, The Ask Suze Library System and Suze Orman’s Ultimate Protection Portfolio. Suze is a a Certified Professional Planner®. Suze has written, co-produced, and hosted five PBS specials based on her New York Times bestselling books. 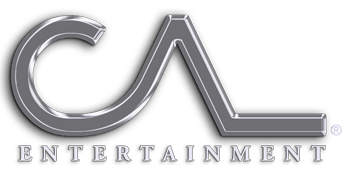 She is the single most successful fundraiser in the history of Public Television, and recently won her second Daytime Emmy Award in the category of Outstanding Service Show Host. Suze won her first Emmy in 2004, in the same category. Suze is a contributing editor for O, The Oprah Magazine and O at Home and has a bi-weekly column, “Money Matters,” on Yahoo! Finance. Suze hosts her own award-winning national CNBC-TV show, The Suze Orman Show, that airs every Saturday night. She also hosts Financial Freedom Hour on QVC television. Suze Orman has been honored with three American Women in Radio and Television (AWRT) Gracie Allen Awards. This award recognizes the nation’s best radio, television, and cable programming for, by, and about women. In 2003, Suze garnered her first Gracie for “The Suze Orman Show” in the National/Network/Syndication Talk Show category. Suze won her second and third Gracies in the Individual Achievement: Program Host category in 2005 and 2006. Profiled in Worth magazine’s 100th issue as among those “who have revolutionized the way America thinks about money,” Suze was named one of Smart Money magazine’s top 30 “Power Brokers,” defined as those who have most influenced the mutual fund industry and affected our money, in 1999. After receiving the 1999 Books for a Better Life Motivational Book Award for The Courage to Be Rich, in 2002, the organization established The Suze Orman First Book Award to honor a first-time author of a self-improvement book in any category. Then, in 2003, she was inducted into the BBL Award Hall of Fame in recognition of her ongoing contributions to self-improvement. She received a 2003 Crossing Borders Award from the Feminist Press. The award recognizes a distinguished group of women who not only have excelled in remarkable careers, but have also shown great courage, vision, and conviction by forging new places for women in their respective fields. In 2002, Suze was selected as one of five distinguished recipients of the prestigious TJFR Group News Luminaries Award, which honors lifetime achievement in business journalism. 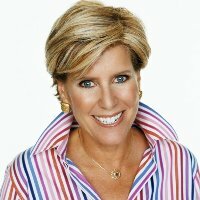 A sought-after motivational speaker, Suze Orman has lectured widely throughout the United States, South Africa and Asia, to audiences of up to 50,000 people, often appearing alongside individuals such as Colin Powell, Rudy Giuliani, Jerry Lewis, Steve Forbes and Donald Trump. She has also appeared numerous times on The View, Larry King Live, and The Oprah Winfrey Show.